Dr. Martin Luther King Jr. was one of the greatest Americans ever to live and an activist who held beliefs that were decades before his time. 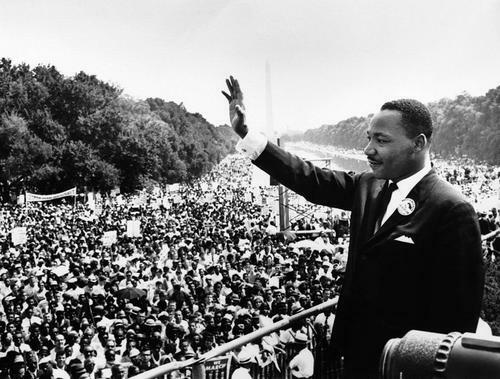 Through his intense speeches and non-violent protests, Dr. King achieved true change that fundamentally altered the social fabric of this country in a way that has lasted far after his death. Because of his amazing efforts—and the fact that he was assassinated during those efforts—Dr. King has been honored with his own national holiday, which every American should use to reflect on his message of peace and tolerance. In the decades since this speech, immense progress has been made but we are not yet living in a country which exemplifies Dr. King’s dream. While black men are no longer being lynched, half of black males are arrested by the age of 23. While overt voting disenfranchisement is no longer politically or socially acceptable, right wing politicians in southern states are still trying to pass laws which indirectly prevent poor and minority voters from having equal access to the polls. While we have an African American president, the average per capita income of African American families is less than 60% of the average per capita income of white families. In the coming decades, activists will keep fighting the same battle that Dr. King did and, hopefully, we will one day achieve his dream. Until then, there is nothing to do but keep up the fight and never let injustice slide by unchallenged. While virtually every American knows about Dr. King’s work on civil rights, comparably fewer have read anything about his extremely commendable work on worker’s rights, income equality, and anti-militarism. There is literally nothing to add to this quote that would make it clearer or more accurate. We are living in that “thing-oriented” society today and the three giants are alive, healthy, and growing fat on human suffering. In modern politics, we hear endless debate about the makers and the takers, and how welfare should be cut so that lazy people don’t get to mooch off of the productive. These debates have resulted in “compromises” that take SNAP benefits away from needy children, eliminate joblessness benefits for millions, and cut education programs that could reduce poverty. Unfortunately, altruism is slowly dying in our politics and wealthy minority is exercising their selfishness in a way that not even Dr. King saw—since his murder in 1968, the wealthy have gotten wealthier and everybody else has stagnated. 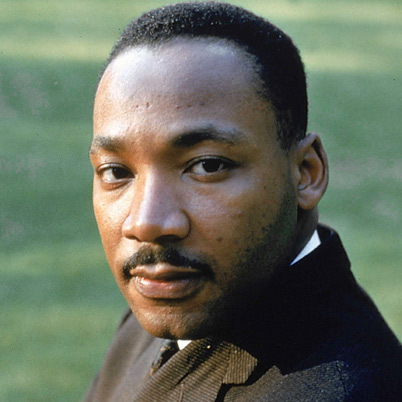 As Dr. King said, we must choose whether we want to live in a society that embraces greed—where the most wealthy horde their money without helping the less fortunate—or one that embraces altruism—where everybody is given a chance for a decent life, even if they run into some bad luck along the way. 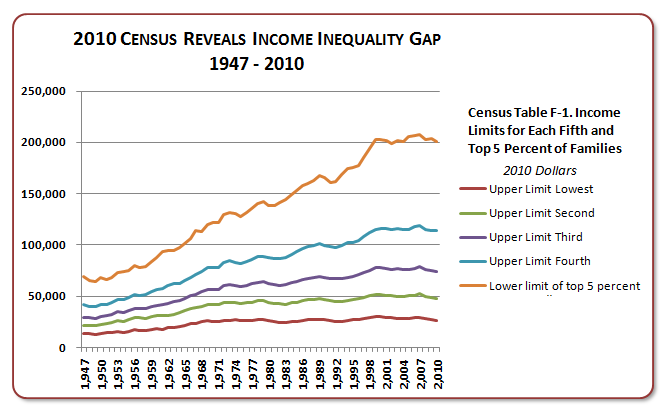 Injustice is toxic and corrosive toward a society in a way that can spread quickly. 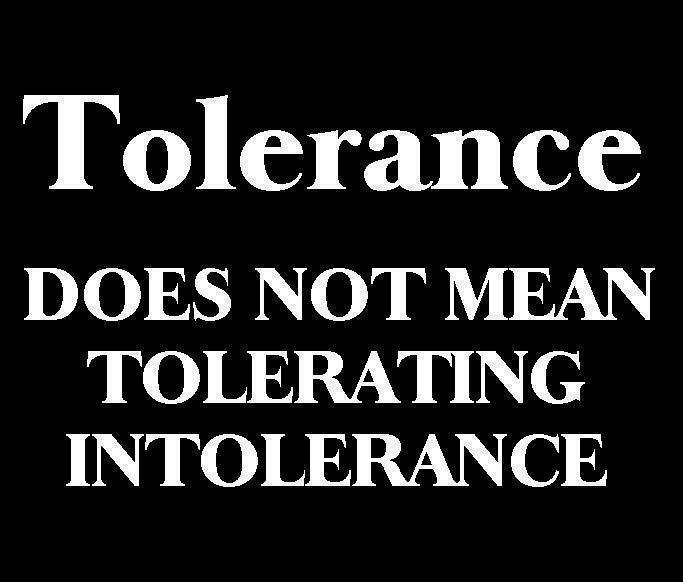 If intolerance is allowed against any group—regardless of how small a minority—it justifies bigotry as an ideal in a way that makes larger and more violent types of intolerance more likely. People have the tendency to ignore bigotry that doesn’t target them because they think “oh that could never happen to ME; I am a member of the majority and that won’t change.” These people don’t realize that, bigotry tends to shift over the years and that, one day, they may be on the wrong side of the fence. In order to prevent a precedent that bigotry is publically acceptable from being set, everybody must fight against bigotry, regardless of whether it affects them directly. To give a few examples: White people must fight injustices that target black people; straight people must fight injustices that target gays; Christians must fight injustices that target Muslims. If you fail to stand up when some “other” is oppressed, then you may one day be oppressed and realize that nobody is standing up for you. In Dr. King’s day, the world was in the middle of a cold war, where two superpowers held the entire planet under fear of a nuclear exchange that could well destroy the planet military spending was eating up resources that could be used funding all manner of social welfare programs (ex. 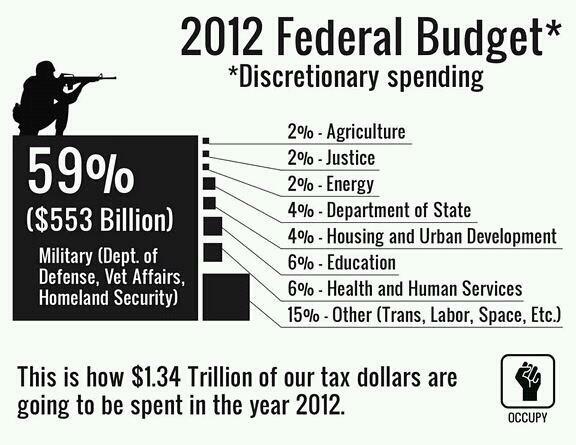 education, food assistance, etc.). Unfortunately, not only did Dr. King not live to see the end of this war, but we, as a people, have also yet to see the end of this over-militarization. The United States military is larger and better funded than the combined military powers of most of the developed world, yet our national infrastructure and social safety net are decaying. We are still living in the world that Dr. King wanted to change, where we spend more money killing people in foreign countries than we do lifting up our own population. In recent years, many have retconned the growth years of America to portray private investors and business interests as the forces that grew America into a powerful nation and pulled people out of poverty. These efforts to distort reality are in service of an ideological agenda that would maximize profits by exploiting the workers. When looking at this quote by Dr. King, I was forcibly reminded of the following graph, tracking union membership and top income levels. 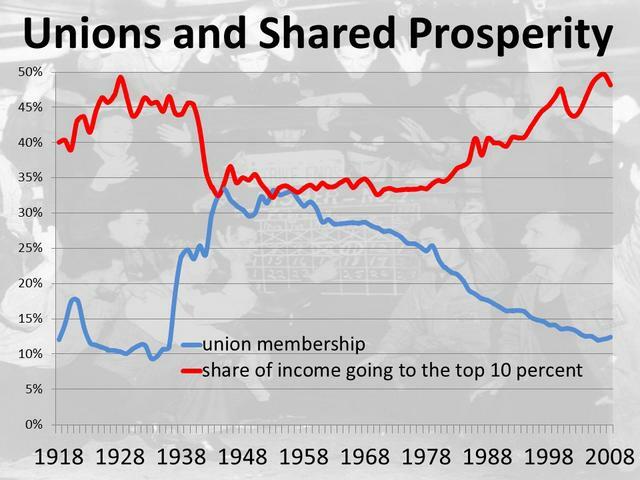 As you can clearly see, union membership rises and falls with the percentage of the money that the rich make—the more powerful that unions are, the more that the middle class takes home. This quote by Dr. King is just self-explanatory—the entire concept of “right to work” was manufactured to destroy unions through undermining their ability to sustain their membership. Today, numerous states have passed “right to work” legislation and more are looking to start similar pushes. Whenever you hear about one of these pushes, you should remember that these same people have been trying the very same rhetorical trick for decades. Dr. King wasn’t tricked back then, and I hope that you won’t be tricked today. Out of the problems that face mankind, probably the largest and worst is humanity’s tendency to let out technological powers outstrip our judgment in how to use such advances. Humanity develops next-generation weapons, drugs, and surveillance devices, yet our collective conscience and ability to think rationally still lives in a much younger and less evolved time. Unfortunately, we have seen this problem become extremely dangerous in recent years due to the development of drone and mass digital surveillance technology. 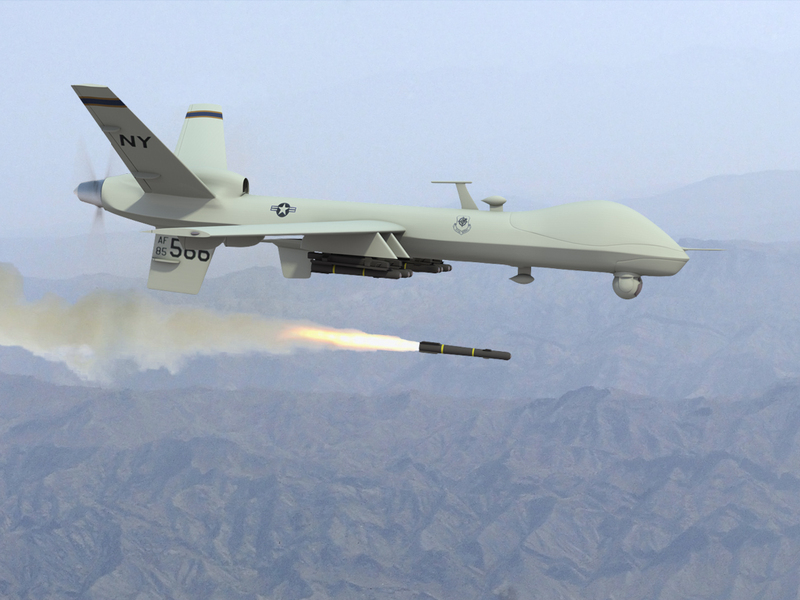 Due to advancing technology, our government now has the ability to easily and remotely spy upon, or even kill, individuals that it deems to be a threat. Ideally, we would have a legal framework in place that prevents misguided men from utilizing scientific advances to cause harm, but that has yet to be implemented. While Dr. King was a deeply religious man, he understood the need for women to have access to birth control and contraceptive services. Dr. King believed that the ability to control one’s reproductive choices was vital in order to assist poor people in rising out of poverty. Planned Parenthood has provided contraceptive services, abortions, and general health care for American women—including millions of poor women who would be unable to afford care elsewhere—over decades. Throughout his career in activism, Dr. King supported the efforts of Planned Parenthood and any attempts to claim otherwise are simply wrong. King was assassinated in 1968. Typo, thanks for catching that.